Tracker has several basic workflows to help you get started quickly. They cover the most popular scenarios for using Tracker. The basic workflows can't be changed or deleted, but you can edit copies of them. 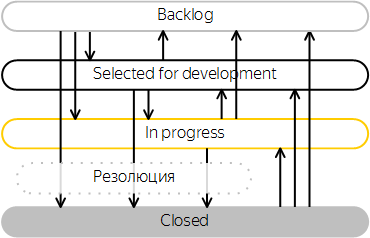 The Scrum workflow only allows the Fixed resolution. 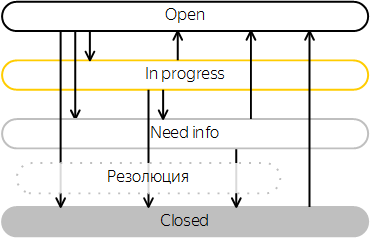 The resolution is added automatically when the task status changes to Closed. 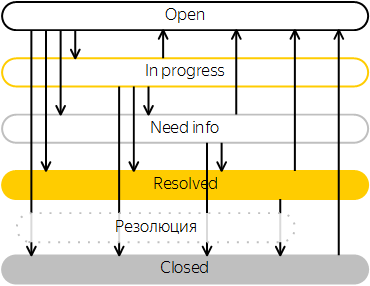 TheKanban workflow only allows the Fixed resolution. The resolution is added automatically when the task status changes to Closed. Suitable for tasks that require approval before starting them. 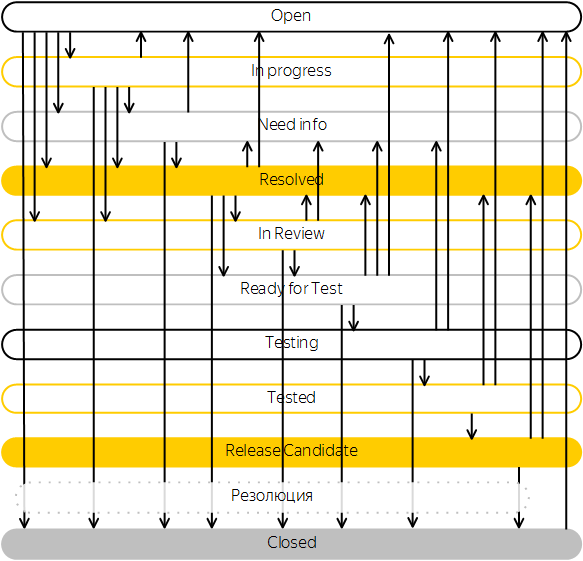 This is a linear workflow, so progress can't start on an issue before it is approved. 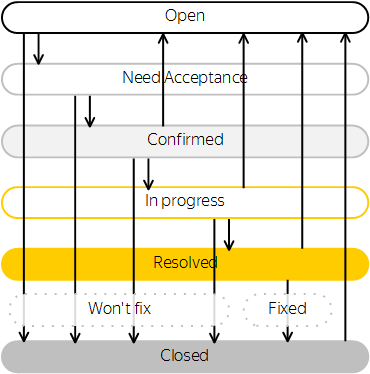 Fixed Added automatically when switching issues from the Resolved status to the Closed status. Won't fix Added automatically when an issue switches from any status other than Resolved to the Closed status.